In addition to our “drop-in” fuel and chemical characteristics, another of Virent’s key differentiators is the ability to use a wide variety of feedstocks in the BioForming® process. Our patented catalytic process can effectively convert conventional feedstocks (beet sugar, sugar cane, corn starch) as well as next generation cellulosic feedstocks (bagasse, corn stover, grasses, sorghum and wood). We’re leading the industry in our ability to generate high-value hydrocarbons from a wide variety of plant sugars. Virent’s ability to tune its catalytic conversion process means that a project can be developed using one type of feedstock (based on price, availability, geography or supply chainany other factor) and accommodate alternative feedstocks for long term commercial advantage. For example, a Virent facility can initially utilize conventional sugar feedstocks to deliver cost effective bio-fuels and bio-chemicals, moving to cellulosic sugars from biomass as that technology ramps up and the economics become proven at commercial scale. Unlike biological processes that require a C6 or C5 sugars stream for fermentation, Virent’s catalytic BioForming process can process a mixture of plant sugars. Virent’s catalytic process can also use other soluble carbohydrates as feedstock, including biomass degradation products that act as inhibitors in fermentation based processes. Because Virent’s conversion process is feedstock flexible, it can work around the world. Companies can utilize Virent’s technology for fuels and chemicals anywhere that plant sugars exist. Virent’s technology can be deployed on most every continent, leveraging local sustainable agriculture, growing local economies and fostering energy independence. One of Virent’s key differentiators is our ability to use a wide variety of feedstocks in the BioForming® process. Our patented catalytic process can effectively convert both cellulosic and conventional feedstocks as described below. 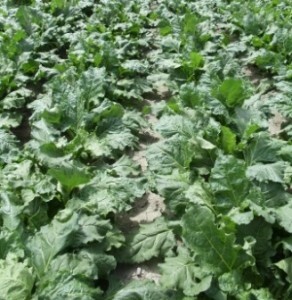 Sugar beets are plants that contain a high level of sucrose. Sugar beets are grown extensively in the European Union, the United States and Russia. The crystalline sugar from sugar beets is used interchangeably with cane sugar. Sugarcane is a tall perennial grass that is native to the tropical regions of Asia. Sugarcane has fibrous stalks with high levels of sucrose. 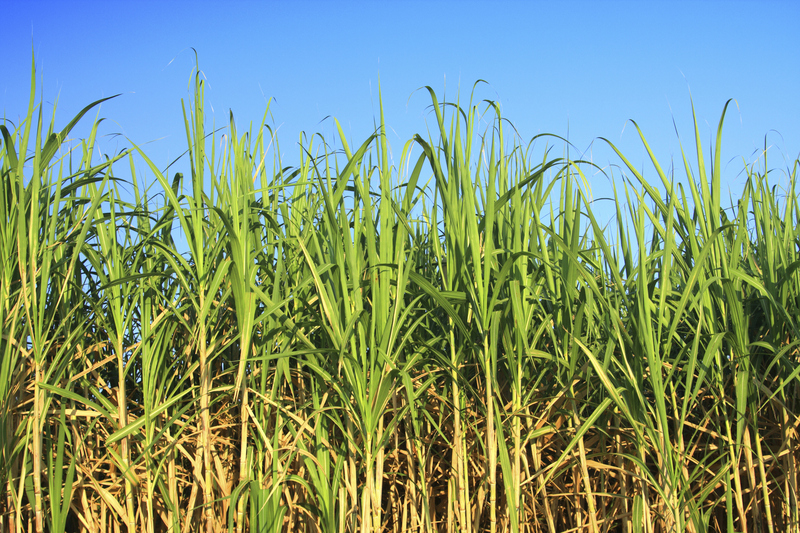 The world’s largest sugarcane producers are Brazil, India, China and Thailand. 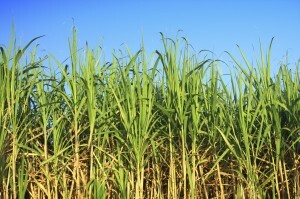 Virent’s process can also work with ethanol produced from sugarcane. Corn starch, which is derived from a portion of the corn kernel, is a mainstay of the corn refining industry, with a wide range of applications. Corn is grown extensively in the United States, China and Brazil. Virent’s process can also work with ethanol produced from corn starch. One of Virent’s key differentiators is our ability to use a wide variety of feedstocks in the BioForming® process. Our patented catalytic process can effectively convert both conventional and cellulosic feedstocks as described below. Bagasse is the fibrous residue remaining after sugarcane or sweet sorghum stalks are crushed to extract their juice. Historically, bagasse has been a waste by-product of the sugarcane production process. Bagasse is indigenous to Asia, but today Brazil is by far the largest producer, with about one-third of world production. Because of the short life-cycle and fast growth of the sugarcane plant, bagasse is viewed as an annually renewable resource. In addition, its connection to sugar make it a very logical cellulosic choice for companies currently working with cane or sorghum. 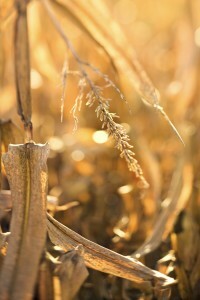 Corn stover consists of the leaves, husks, cobs and stalks of maize plants left over after the grain harvest. 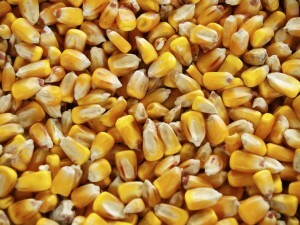 Stover makes up about half the yield of a corn crop and is similar to straw, having low water content and bulk density. 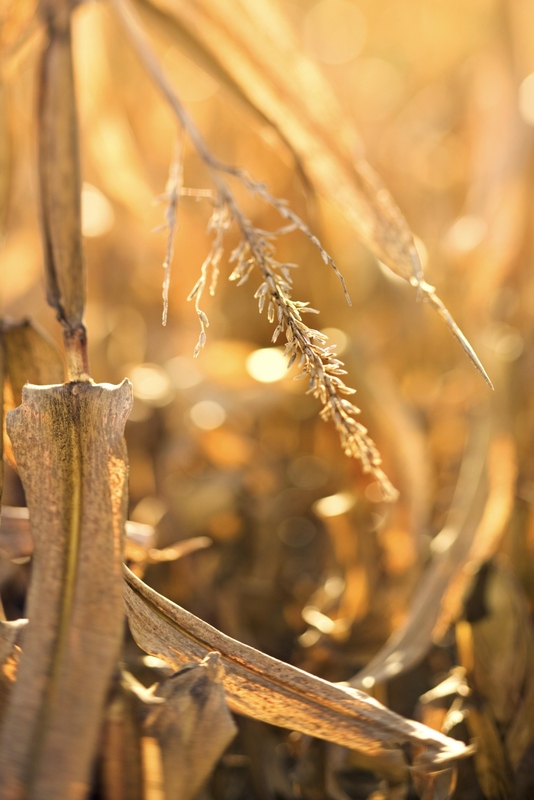 Historically unused, corn stover is growing in popularity as a feedstock for biofuels production. 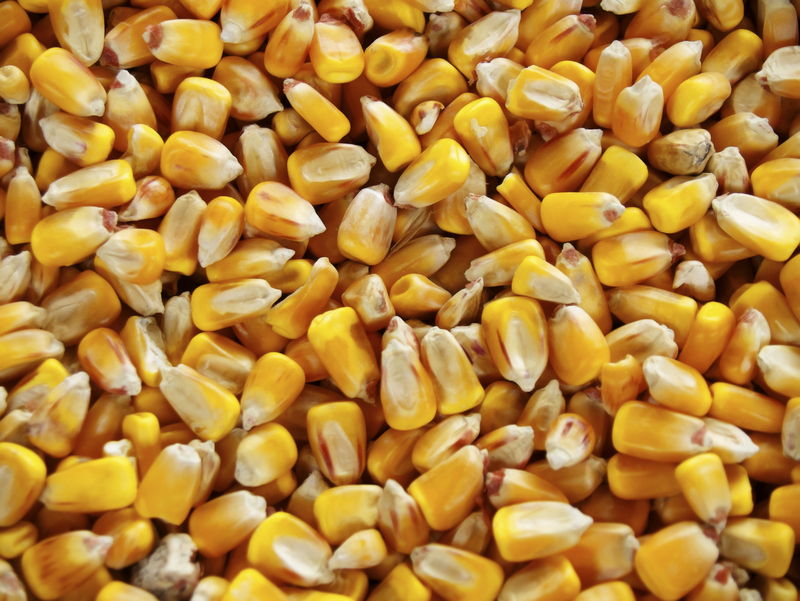 It is abundant and freely accessible in the United States, with obvious proximity to corn, and because of its short life cycle and fast growth, corn stover (like corn) is considered an annually renewable resource. 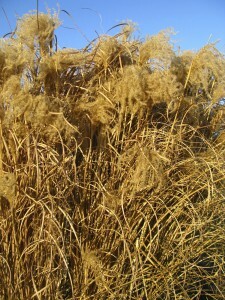 Diverse mixtures of native prairie plant species have emerged as suitable biomass for biofuels production. 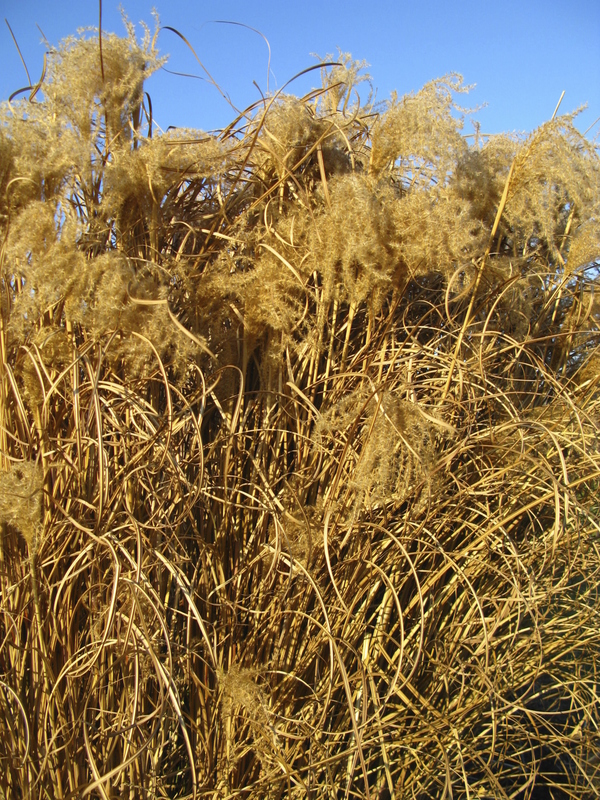 Grasses such as elephant grass, miscanthus and switchgrass can grow in a wide variety of soils and are naturally drought and wind tolerant. All parts of the plant above ground are usable. The practice of using degraded land to grow mixed prairie grasses for biofuels could provide stable production of energy and have additional benefits, such as renewed soil fertility, cleaner ground and surface waters, preservation of wildlife habitats, and recreational opportunities. Using the cellulosic biomass resulting from forest management practices is gaining popularity in the effort to reduce the use of fossil fuels and address climate change. Woody biomass suitable for biofuels production is sourced through collecting residual biomass following timber harvest and the periodic harvesting of understory woody vegetation or through purpose grown hybrid poplar or hybrid willow. 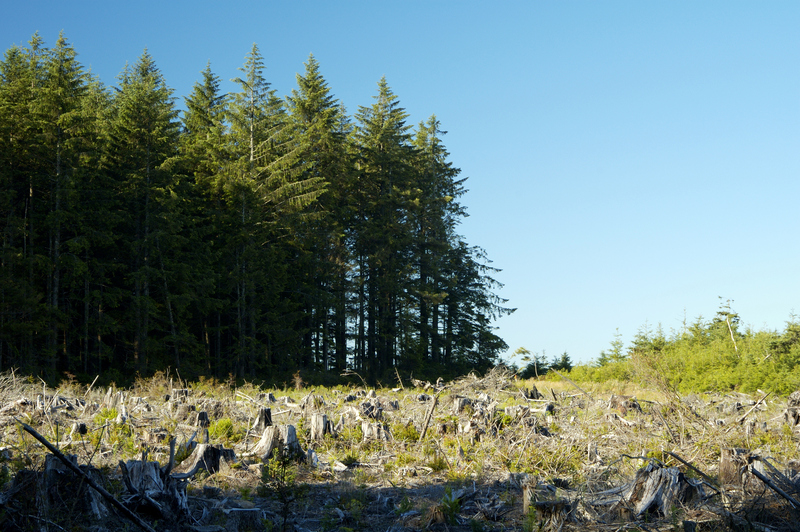 Today the most commonly used forest harvest residuals are pine species, due to the soft nature of the wood, the comparatively short growth cycle, and their abundance due to association with timber harvesting for building materials. 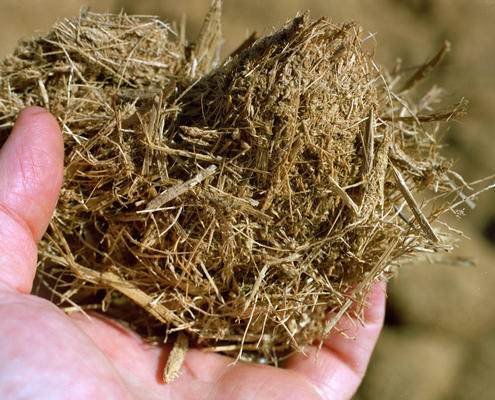 As seen in the pictures above, these feedstocks are fibrous and tough, and the plant cellulose will need to be digested or deconstructed before it can be converted into fuels and chemicals. Once the pretreatment of cellulosic biomass is complete, the broken-down plant matter is mixed with water to form what is called a hydrolysate mixture. How can Virent’s feedstock flexibility streamline your operations?